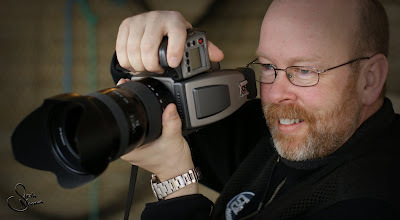 Today I was photographed by my Co-op Graphic Arts student from the College of the North Atlantic. Sarah Norman took on one of those hardest of shoots, to photograph a photographer. Well, I was delighted to see her work. The first thing I thought when I saw my photo, was that I wanted to show it to everyone. As a photographer, that is what I hope for all my clients. Thank you Sarah, I love it!